Six circular windows on the top. Set of six removable supports. 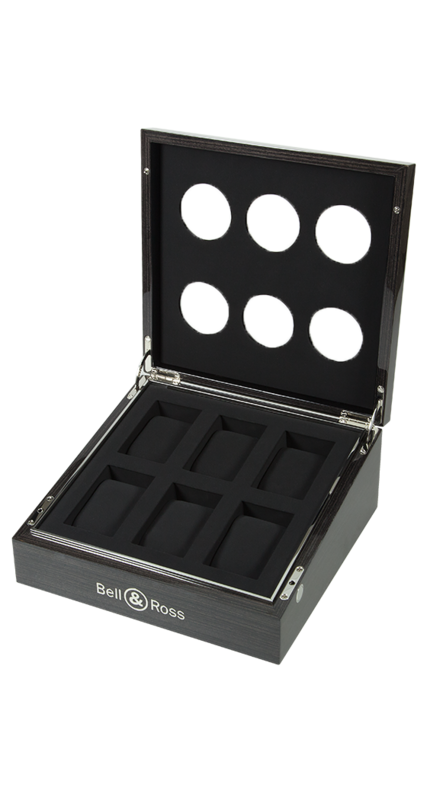 Bell & Ross logo on the front.